There are a few Twins rumors swirling around as this afternoon's trade deadline approaches, and for anyone interested in keeping up with the moves and endless speculation my advice is to abandon work and spend your day hitting "reload" on Rotoworld's constantly updated player news page and the blogs run by Joe Christensen and LaVelle E. Neal III (whom I spotted toting a notebook, wearing a suit, and literally running away from the Metrodome while attending last night's game. LEN3, on the move!). With last night's victory the Twins pulled to within a half-game of the White Sox in the AL Central, but their road to the playoffs actually became significantly tougher with the announcement that Alexi Casilla has a torn tendon in his right thumb. Casilla suffered the injury while diving into second base Monday night and is scheduled to undergo further testing, but he's already been placed on the disabled list and there's a strong chance that he'll miss the remainder of the season. After a forgettable 2007 season and putrid 32-game stretch at Triple-A to begin this year, Casilla was called up from Rochester in mid-May and quickly took over as the everyday second baseman while helping to jump-start the offense. He provided the lineup with a speedy, patient, switch-hitting on-base threat in front of Joe Mauer and Justin Morneau, batting .313/.351/.424 with 19 extra-base hits and a 25-to-16 strikeout-to-walk ratio while driving in or scoring 77 runs in 62 games. With Casilla out indefinitely the Twins will make Nick Punto the starting second baseman while playing Brendan Harris at shortstop. That's backward in the sense that Punto has significantly more range and is simply a better defensive shortstop, but Ron Gardenhire feels that Harris' inability to consistently turn double plays as a second baseman makes him a better option at shortstop, poor range and all. To fill Casilla's spot on the roster, the Twins have activated Adam Everett from the DL. Everett has been out since mid-May with a shoulder injury and was on the verge of being designated for assignment before news of Casilla's injury hit. Now he'll rejoin the team as a reserve while trying to show that his shoulder is healthy after the once-elite defender struggled to make even routine throws early this season. A healthy Everett can make up for his awful bat with his great glove and be a decent option at shortstop, but he's useless at less than full strength. Casilla will definitely be missed. Kevin Slowey was clobbered by the White Sox on June 8, coughing up eight runs while watching his ERA soar from 3.76 to 5.15 in three innings. He also began July with three straight rough starts against the Indians, Tigers, and Yankees, allowing 15 runs over 15 innings. All of which made Monday night's complete-game shutout of the White Sox all the more impressive. Slowey needed just 102 pitches to record 27 outs, scattering six singles and one walk while inducing a career-high 14 ground balls. Slowey made a name for himself in the minors with pinpoint control and amazing strikeout-to-walk ratios, and for all the reactionary talk of his supposed lack of an "out-pitch" that's exactly what he's done in the majors. With just 27 walks in 163.1 innings his control has actually been even better than it was in the high minors and while his strikeout rate has fallen 20 percent, it remains above the AL average. A huge increase in homers allowed is the biggest change for Slowey, but that was to be expected. Monday's ground-ball fest against the White Sox not withstanding, he's always been an extreme fly-ball pitcher and warning-track outs in the minors tend to become homers in the majors. From Brad Radke, Johan Santana, and Eric Milton to Slowey, Baker, and Perkins, the Twins' rotation has long been filled with fly-ball pitchers who in turn struggle to keep the ball in the ballpark. Homers are Slowey's biggest weakness, but the many fly balls also help account for his low batting average on balls in play. The Twins are interested in former teammate LaTroy Hawkins to help shore up their bullpen, according to two persons familiar with the situation. Hawkins was designated for assignment Saturday by the Yankees, after they landed reliever Damaso Marte from the Pirates, and the Yankees have 10 days either to trade him or send him through waivers. Hawkins, 35, went 1-1 with a 5.41 ERA in 33 appearances for the Yankees, but the Twins' thinking is that a return to where he developed into a good setup man could turn his season around. ... If Hawkins is dealt, the acquiring team would have to pay roughly $1.25 million of the $3.75 million he's making this season. If he's released by the Yankees, he could sign with any club for the league minimum, but Hawkins has drawn enough interest from clubs that a trade seems more likely. As noted Monday, Hawkins' ugly ERA this season overstates how poorly he's pitched. A deeper look at his performance shows that he's essentially been Jesse Crain's equal, both this season and for the past four years. Crain is currently the Twins' secondary setup man and has been handed quite a bit of high-leverage work since Pat Neshek's season-ending injury, which suggests that the team could use a similarly effective reliever. He's nowhere near the pitcher he once was, but Hawkins could help. Denard Span continues to impress both offensively and defensively, flashing outstanding range in center field while subbing for a banged-up Carlos Gomez and launching his first career homer Monday night off left-hander Mark Buehrle. Span has predictably come back down to earth somewhat, losing 40 points of batting average and 80 points of OPS during the past two weeks, but keeps displaying an excellent, patient approach at the plate while showing more power than expected. After breaking free from his track record by hitting .340/.434/.481 with 15 extra-base hits and a 36-to-26 strikeout-to-walk ratio in 40 games at Triple-A to begin this year, Span has hit .313/.403/.446 with 10 extra-base hits and a 19-to-17 strikeout-to-walk ratio through 36 games in the majors. His trip back to earth likely isn't done yet, but with each game he looks more like a legit leadoff man and less like a fourth outfielder. With Casilla out, the Twins desperately need him to keep getting on base. A 30-year-old veteran of nine seasons and over 3,600 trips to the plate in the minors, Ruiz has yet to get even a sniff of the big leagues despite a .300/.370/.522 career hitting line. ... He has a lengthy track record of success in the minors and looks capable of filling a specific niche in the majors as a right-handed platoon bat, but unfortunately for Ruiz he picked the wrong year to make the Twins. I'd argue that signing a scrap-heap bat like Ruiz for $350,000 makes more sense than handing $3.8 million to Monroe, but that ship sailed months ago. ... Strictly in terms of hitting ability the only real difference between Monroe and Ruiz is that the Tigers gave Monroe a chance in 2003 after he put up a string of impressive seasons in the minors. Ruiz has yet to get that chance and probably won't. Monroe has hit .202/.274/.405 in 179 plate appearances with the Twins. Ruiz has hit .313/.360/.514 in 442 plate appearances at Triple-A. He's far from a potential star and has plenty of flaws, but Ruiz is on track for his 10th straight season with an OPS above .800 in the minors and would have been a fine fit as a right-handed platoon partner for Jason Kubel at designated hitter. 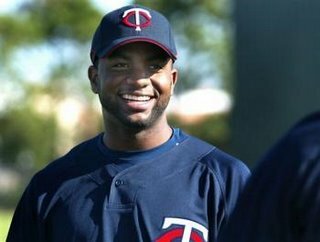 Instead, the Twins spent an extra $3.5 million on Monroe, who's now hit .234/.285/.431 over his last 1,200 plate appearances. Morneau has drawn 17 walks in 23 games this month after drawing a total of just 31 free passes through 83 games, but it looks like the sudden spike in his walk rate is due at least as much to teams pitching around him as it is improved plate discipline. Four of his 17 walks this month are intentional, which makes sense given that he's crushing the ball to the tune of .372/.485/.705 in July while lesser hitters like Monroe, Kubel, and Delmon Young bat behind him. Beyond that, Morneau continues to swing at pitches outside the strike zone at a remarkably consistent rate. From 2006-2008, he swung at non-strikes 30.7, 31.1, and 30.4 percent of the time. While walking like crazy over the past month, he's swung at pitches outside the strike zone 30.9 percent of the time. Morneau isn't suddenly laying off more non-strikes. Instead, he's being thrown more non-strikes and because he's always avoided swinging at them 70 percent of the time, he's drawing more walks. Over the past three seasons, 49.1 percent of the pitches thrown to Morneau have been inside the strike zone, but during the past month that number has dropped to just 41.7 percent. One area where he's definitely improved in July is making contact on pitches both inside and outside the strike zone. This month he's connected on 96.0 percent of his zone swings and 70.4 percent of his non-zone swings, both of which are up considerably from his pre-July rates this year and for his career. Morneau has hit .320/.393/.526 with 17 homers, 26 doubles, 48 walks, 64 runs, and 82 RBIs in 106 games. At this same point during his MVP-winning 2006 season, he was hitting .319/.367/.596 with 28 homers, 20 doubles, 30 walks, 62 runs, and 88 RBIs. Given that offense is down seven percent across the league this year compared to 2006--a difference that equals 30 points of OPS or one-third of a run per team, per game--a good argument can be made for his current run being even more impressive. Much has been made, both here and elsewhere, about how losing Pat Neshek has hurt the Twins' bullpen tremendously. Without Neshek around to put out fires and with Ron Gardenhire choosing not to change his strict usage of Joe Nathan, the rest of the bullpen has taken on added responsibility with mixed results. Since Neshek went down in mid-May, the non-Nathan relievers in the Twins' bullpen have a 4.53 ERA and 137-to-70 strikeout-to-walk ratio while allowing 201 hits in 184.2 innings. Even with Nathan's brilliant work thrown into the mix, the bullpen has a 4.09 ERA in 213 post-Neshek innings. That's certainly not disastrous, but Twins relievers had a 3.42 ERA when Neshek was part of the bullpen and AL relievers as a whole have a 3.92 ERA this season. In other words, without Neshek around the bullpen has declined significantly while being worse than the AL average. That's obviously not a good sign and it's also not something the Twins have had to deal with recently. A huge part of the Twins' success this decade has come from outstanding, deep bullpens featuring an excellent closer and multiple quality setup men. Because of that they haven't had a bullpen ERA above 3.99 since 2001, posting an average ERA of 3.59 during the past six seasons. Unfortunately, since losing Neshek nearly three months ago the bullpen has been mediocre at best and ranks as arguably the Twins' worst relief corps since Gardenhire took over as manager. Ideally the Twins would acquire a top-notch setup man to replace Neshek, pushing the other relievers back into their previous, lower-leverage roles. That's a possibility with a few days remaining prior to the July 31 trading deadline, but Jon Rauch and Damaso Marte are already off the market and it's unlikely that the Twins will meet the asking prices for someone like Huston Street or Brian Fuentes. Instead, the Twins figure to stand pat, call up a reliever from Triple-A, or go after an inexpensive veteran. Standing pat would leave Nathan closing, Matt Guerrier and Jesse Crain as the primary setup men, and Dennys Reyes as the situational left-hander, with Craig Breslow, Brian Bass, and Boof Bonser in low-leverage roles. No bullpen with Nathan in the ninth inning can be that bad, Guerrier is a solid setup man, and Bonser still has a chance to be useful in relief, but that's not really a confidence-inspiring group and doesn't look particularly capable of being an elite bullpen down the stretch. A call-up from Triple-A would seemingly point to Francisco Liriano, who racked up nine strikeouts last night and has been screaming for a promotion via his recent performance. He's 10-0 with a 2.93 ERA and 80-to-13 strikeout-to-walk ratio in 71 innings spread over his last 11 starts, but the Twins have indicated that they don't want to use him as a reliever. Instead, if Liriano rejoins the rotation that would likely lead to the Twins shifting Glen Perkins, Nick Blackburn, or Livan Hernandez to the bullpen. Hernandez hasn't worked in relief since his MLB debut in 1996 and opponents have clobbered him to the tune of .336/.363/.500, so he wouldn't be any more bullpen help than Bass. Blackburn has more bullpen experience than Hernandez and would obviously be a better bet, but pitching to contact isn't a great fit in the late innings. Perkins' first 24 big-league appearances came out of the bullpen after he was strictly a starter in the minors, but Reyes and Breslow have been solid getting lefties out anyway. If you're curious, Neshek had a 1.95 ERA and 87-to-14 strikeout-to-walk ratio in 60 innings at Triple-A when the Twins called him up in mid-2006. That adds up to a 2.48 FIP, which is 13 percent better than anyone on the above list has managed this season. Of course, there's no shame in a Triple-A reliever being worse than Neshek and Korecky's 2.85 FIP at Rochester is still plenty solid. Korecky has a 3.35 ERA and 51-to-17 strikeout-to-walk ratio in 53.2 innings as Rochester's closer. He also has a similarly strong minor-league track record in previous seasons and held his own in nine games with the Twins earlier this year, so if they want to add a bullpen arm from Triple-A it should be Korecky. With that said, he's more middle man than setup man, so there likely won't be any filling of Neshek's shoes. Gomez and Barrett would be options as situational left-handers if the Twins didn't already have Reyes and Breslow, and Lahey doesn't project as more than a decent middle reliever. Cali and Daigle have ugly stats in brief MLB stints and are pretty standard organizational filler at this point, DePaula has fallen apart after previously looking like a decent relief prospect, and Humber has been a huge disappointment since coming over in the Johan Santana trade. 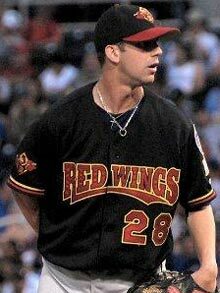 Graves is a recognizable name because of his two All-Star appearances as the Reds' closer, but he's now 33 years old, hasn't had success in the majors since 2004, and has been anything but impressive at Rochester. Rochester is home to no shortage of potential middle relievers and mop-up men--which is yet another reason why hanging onto Bass all season makes such little sense--but unless the Twins change their mind about Liriano's short-term role Korecky is probably the only option there for adding a potential impact bullpen arm for the stretch run (and it's debatable if he even qualifies). Similarly, while dealing for Street or Fuentes is likely too expensive, acquiring a useful veteran arm shouldn't be too difficult. Whether via call-up or trade it'll be very tough to bring in someone dependable and durable enough to supplant Guerrier as the primary setup man, but adding someone serviceable enough to be a viable alternative to Crain as the secondary setup man is very much doable. Crain has a 4.21 career FIP and his 4.00 mark this season ranks 90th among MLB relievers with at least 30 innings. His xFIP, which takes FIP a step further by normalizing home-run rate, is even higher at 4.48. While useful, relievers with a 4.00-4.50 FIP simply aren't all that difficult to find. For instance, LaTroy Hawkins was designated for assignment by the Yankees this weekend. During his final two seasons with the Twins and first season with the Cubs, Hawkins was one of the best relievers in baseball, with a 2.22 ERA and 207-to-44 strikeout-to-walk ratio over 239.2 innings. Since then he's been merely a decent middle reliever, with a 4.27 ERA and 122-to-72 strikeout-to-walk ratio over 213 innings. They both issue a walk eight percent of the time while working with an average fastball of 92-94 miles per hour. Crain misses about 30 percent more bats, Hawkins induces about 25 percent more ground balls, and the end result (if you're smart enough to look beyond ERA) is almost identical. The point here isn't necessarily that the Twins should try to bring Hawkins back--although it's not a bad idea--but rather that finding another competent arm for the bullpen could be plenty helpful and is very feasible. Hawkins can be had for next-to-nothing, relievers like him are readily available, Korecky is waiting at Triple-A for his next chance, and Perkins or Blackburn could be added to the bullpen if the Twins get around to calling up Liriano. Replacing Neshek will be impossible without busting the bank for a guy like Street and even adding a true late-inning arm probably isn't doable unless they decide to let Liriano relieve, but the bullpen could use another serviceable, non-Bass option and that's not too hard to find. Francisco Liriano turned in yet another dominant outing Tuesday at Triple-A, tossing seven shutout innings while striking out 10 and allowing just two hits. Liriano is now 9-0 with a 2.37 ERA and 81-to-12 strikeout-to-walk ratio in 64.2 innings spread over his last 10 starts. He's 5-0 with a 0.26 ERA over his last five starts, allowing a grand total of one run with a 42-to-5 strikeout-to-walk ratio in 35 innings, and Joe Christensen of the Minneapolis Star Tribune speculates that he's on the verge of a call-up. This is a site for baseball columns, not for baseball blogs. The proprietor of the site is not a fan of blogs. He made that abundantly clear on a radio show with Charley Steiner when Steiner asked him what he thought of blogs and he replied, "I hate blogs." He later heartily applauded Buzz Bissinger when the best-selling author denounced bloggers on a Bob Costas HBO show. This site will most likely appeal primarily to older fans whose interest in good old baseball is largely ignored in this day of young bloggers who know it all, and new- fangled statistics (VORP, for one excuse-me example), which are drowning the game in numbers and making people forget that human beings, not numbers, play the games. Welcome to the blogosphere, Murray. That'd be Maria Menounos doing her best "pretty girl pose" on the left and David Ortiz doing his best "Captain Morgan pose" on the right. Not seen is me doing my best "jealous loser in his underpants with chip crumbs on his t-shirt pose" while watching the game from a couch in my living room . On a related note, Menounos looks just slightly better than Ortiz in a baseball uniform. 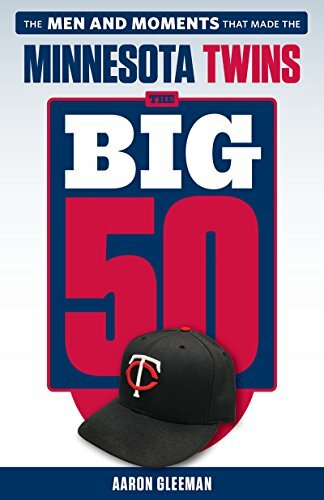 Speaking of pictures from the All-Star game, MLB.com set up a "Twins Confidential" site featuring behind-the-scenes shots of Joe Mauer, Justin Morneau, Joe Nathan, Joe Vavra, Paul Molitor, Rod Carew, and Harmon Killebrew in New York for the festivities. Among the many photos, you can see Morneau sitting next to Erin Andrews during the Home Run Derby and everyone being paraded down the red carpet with their families in the bed of a truck (except for Mauer, who is oddly sitting alone). Howard Stern wack packer High Pitch Erik stepped up. The longtime Stern character didn't get a picture taken with Andrews. He just asked her who she was and if she wanted to go on Stern's show. When Andrews told him that the show should go through ESPN to book her as a guest, he then asked her for her phone number. Seriously. They plan to wed in the spring. Mrs. Erin High Pitch has a certain ring to it, you've got to admit. For some reason, after watching that debacle I feel sorry for Bill Laimbeer and Rick Mahorn. After reportedly going through Barry Zito, Brad Penny, Carl Pavano, Tom Glavine, and who knows how many other former All-Star starting pitchers, Alyssa Milano announced recently that she's "sworn off dating baseball players because they are too childish." She explained: "They're grown men playing a little boy's sport. That makes them childish." Significantly less childish? Grown men who write about other grown men playing a little boy's sport. Once you go blogger, you'll never go back. Congratulations to Stephon Marbury, who's now officially the Mike Tyson of the NBA. Jeff Pearlman of ESPN.com recently wrote a well-done article about Mike Lamb and the sometimes not-so-great parts of playing baseball for a living. Cringe-worthy incidents seem to follow poor Buzz Bissinger wherever he goes. As my Rotoworld colleague Gregg Rosenthal learned this week, it doesn't take much prodding for me to devote a column to Official Fantasy Girl of AG.com Keeley Hazell. Never before has news from England been so fascinating. Not letting her previous fifth-place finish get her down, Mila Kunis is still doing her best to remain a viable Official Fantasy Girl of AG.com candidate. While she waits for Hazell to potentially falter, OFGoAG.com runner-up Marisa Miller has smartly decided to kill time by looking great. For whatever reason this struck me as interesting: Charley Walters of the St. Paul Pioneer Press reports that Al Jefferson purchased Johan Santana's $1.6 million home in Golden Valley. Walters also wrote last week that "one rumor has Los Angeles Angels utility player Robb Quinlan of St. Paul and minor league third baseman Brandon Wood headed to Atlanta for slugger Mark Teixeira." As with most "rumors" that Walters feeds to his audience, that one doesn't even pass the sniff test. Not only would that be a horrendous deal for the Braves, why would they be targeting Quinlan, a 31-year-old career .287/.331/.423 hitter who has never received even 250 plate appearances in a season? Not surprisingly, Jon Heyman of Sports Illustrated notes that Angels general manager Tony Reagins "understandably laughed off the absurd report from a Minnesota paper ... as the babble of bloggers." Apparently not seeing the disconnect between something simultaneously coming from "a Minnesota paper" and being "the babble of bloggers," Heyman writes: "Good line, though some bloggers actually do great work." Gee, thanks. Walters being mistaken for one of us is a low point for all bloggers. The bad news for Tiffany Simons fans is that she's not co-hosting the video this week, so you're stuck looking only at me. The good news for fans of my beard is that it's become even more spectacular than last week. Actually, I'm giving some serious thought to shaving, because how long can someone really walk around with something completely ridiculous attached to their face before it's totally absurd? I'll obviously keep everyone constantly updated on the status of my horrible facial hair, so stay tuned. Speaking of my various video shoots, it struck me recently that putting NBCSports.com's camera equipment to use for this blog would make sense too. Why not, right? Unfortunately, so far my only idea for an angle to take with a blog-related video is a behind-the-scenes glimpse at my weekly KFAN radio appearance, but a) they might not be into that, and b) it seems too complicated for someone as lazy as me anyway. So, if you have any ideas for videos e-mail me or drop a note in the comments section. This news is sad because they were seemingly such a perfect match, although at least now Jimmy Kimmel is finally free to be with his true love, Adam Carolla. When he's not busy being Ken Tremendous at Fire Joe Morgan and Mose Schrute on The Office, Michael Schur is producing a new show on NBC starring Amy Poehler. As owner of the world's worst sense of direction and recipient of a $128 ticket that stemmed from getting lost last week, I've decided that it would probably be a good idea to buy a GPS system for my car rather than continuing to print out Mapquest directions for any trip longer than three miles. After reading a few articles about the various brands Garmin seems to be the consensus top choice, but my hope is that some of my beloved readers are willing to share their thoughts on the best GPS options. Thanks. I'm as excited as anyone about Gomez's future, ranking him as the Twins' top prospect, but it's likely a mistake to put him in a position to receive the most plate appearances of anyone on the team while batting directly in front of the lineup's most dangerous hitters. There'll no doubt be flashes of brilliance while Gomez shows off his amazing speed on the bases and in center field, but leading off should primarily be about getting on base and at 22 years old he doesn't figure to do that especially well. That was March 27, so it only took Ron Gardenhire four months, 99 games, and 418 poorly divvied up plate appearances to come to that same conclusion. Of course, correctly predicting that Gomez would be woefully ill-suited to hit atop the lineup--and spending four months campaigning for a switch--hardly qualifies as genius on my part. In fact, it should have been obvious to anyone focusing on his on-field performance and minor-league track record rather than getting caught up in his speed and potential. Baseball Prospectus projected Gomez to hit .249/.301/.361 this season. Baseball Think Factory had him at .241/.299/.346. The Hardball Times pegged him at .247/.293/.337. In other words, three of the top performance-based projection systems around combined to predict that he'd produce an average hitting line of .246/.298/.348. When Gardenhire finally pulled the plug on Gomez leading off prior to last night's game, he was hitting a near-perfect match for the projections at .247/.281/.345. Gomez's track record suggested that he'd hit around .250 with horrible plate discipline and little power, and that's exactly what he's done thus far. If the Twins are aware of such projections they certainly didn't pay any attention to them, choosing to hand their raw, 22-year-old center field a job that set him up for likely failure. It took a 5-for-57 (.088) slump to finally convince Gardenhire that it was time to reverse a decision that never should have been made in the first place. For now Denard Span replaces Gomez atop the lineup while trying to prove that his breakout is more legit improvement than sample-size fluke. He carried a 283/.348/.348 career line in the minors into this season and batted just .267/.323/.355 at Triple-A last year, which is a performance that would make him as ill-suited for the leadoff spot as Gomez. However, unlike Gomez he's shattered all projections by hitting .340/.434/.481 in 40 games at Triple-A and .341/.437/.466 in 30 games with the Twins. Prior to this season Span looked like a No. 9 hitter at best, but whether because of laser-eye surgery or good, old-fashioned development by way of maturation he's looked like a prototypical leadoff man for the past four months. Lots of weird things can happen in 289 plate appearances and the 60-point jump in batting average obviously won't last very long, but Span has upped his walk rate by 70 percent while producing 108 percent more power. He's been a completely different player. If Span maintained his performance so far this season he'd be one of the best players in baseball, but even if his batting average dips back to .280 or so while his current rate walk rate and Isolated Power both decline by 15 percent, he'd end up hitting around .280/.360/.395. Toss in some good speed and that version of Span would be an ideal leadoff man. With that said, following six mediocre years with four good months leaves plenty of reason to be skeptical and Span may yet turn back into a pumpkin. Beyond that, even if the new and improved Span is here to stay he seemingly won't have anywhere to play once Michael Cuddyer returns from the disabled list. Between signing a long-term extension this winter and hitting just .252/.324/.376 between hand injuries Cuddyer isn't going anywhere whether the Twins want him to or not. Delmon Young was acquired at a huge cost this offseason and has turned things around recently after a brutal start. And Jason Kubel has been the team's third-best hitter. That leaves Span as a fourth outfielder unless the Twins are willing to take Gomez's demotion a step further by platooning him in center field or several steps further by sending him down to Triple-A. Given how long it took just to bump him from the leadoff spot my guess is that sending Gomez to Rochester would require a 5-for-500 slump, give or take a couple of bunt hits, but a Gomez-Span platoon would seemingly be a good fit considering their complimentary handedness. Whatever the case, after finally making the correct decision regarding Gomez's spot in the lineup the Twins could face an even tougher call once Cuddyer comes off the shelf at some point next month. Assuming that Cuddyer, Young, and Kubel are more or less locked into the lineup, can the Twins really bench Span if he continues to hit anywhere close to this well with Gomez looking totally overmatched at the plate while making an out 70 percent of the time? Gomez has swung at more pitches outside of the strike zone than anyone in the AL save for freak of nature Vladimir Guerrero, and among the league's 82 hitters who qualify for the batting title he ranks 71st in batting average, 81st in on-base percentage, 78th in slugging percentage, 79th in pitches per plate appearance, 74th in Isolated Power, 80th in walk rate, and last in strikeout-to-walk ratio. He's the worst-hitting regular in the league overall and is batting .207/.244/.271 in 43 games since June 1. Prior to the season my stated preference was for Gomez to begin the year at Rochester while a place-holder manned center field, with the idea being that he could use additional minor-league seasoning after being rushed to the majors and using up a year of his team-controlled, pre-free agency service time made little sense given that he was likely to struggle. At the time my choice for that place-holder was a low-cost veteran free agent, but Span's emergence has made him the obvious choice. If Cuddyer gets healthy and the clock doesn't strike midnight on Span, it should become obvious (or perhaps more obvious) that Gomez's performance doesn't warrant a starting job. If that time comes, will the Twins stick with him at Span's expense? Will they move Gomez into a part-time role, platooning with Span? 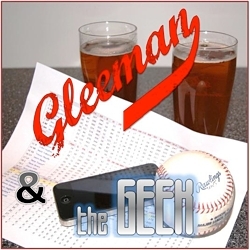 Will they make Span the full-time center fielder and send Gomez down to Triple-A? Moving Gomez from the leadoff spot is a start, but once Cuddyer returns something else has to give.